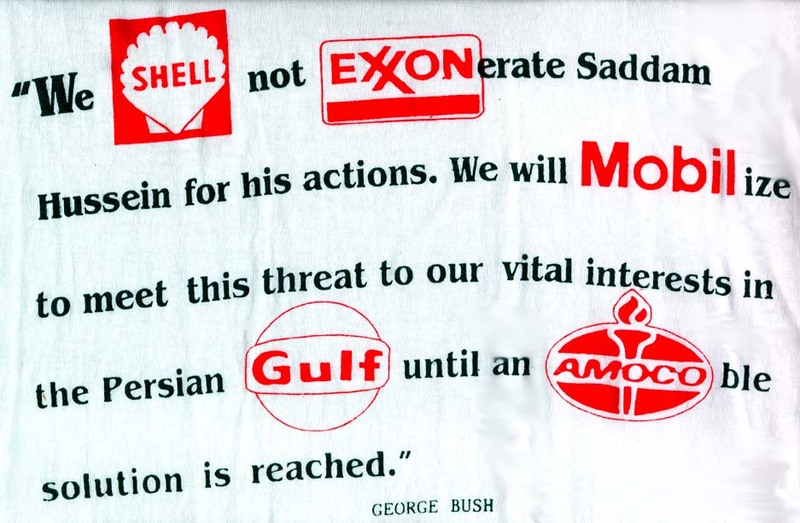 (text) Front: We shell not exxonerate Saddam Hussein for his actions. We will Mobilize to meet this threat to our vital interests in the Persian Gulf until an Amocoble solution is reached. George Bush. 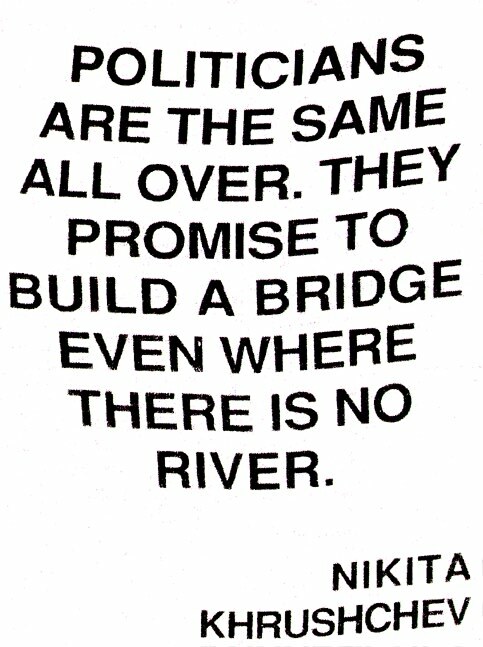 (description) Comic quote with oil-interested companies substituted for George Bush's words. 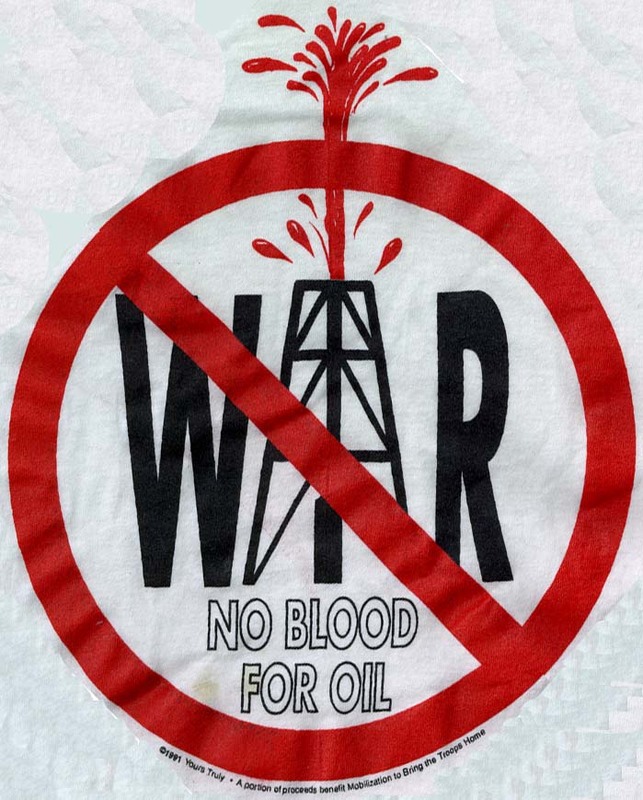 (text) Front: No blood for oil. (description) Text of WAR, with the 'A' represented by an oil well, crossed out and the text, no blood for oil,' underneath the well. The oil well is spewing out a stream of red blood.